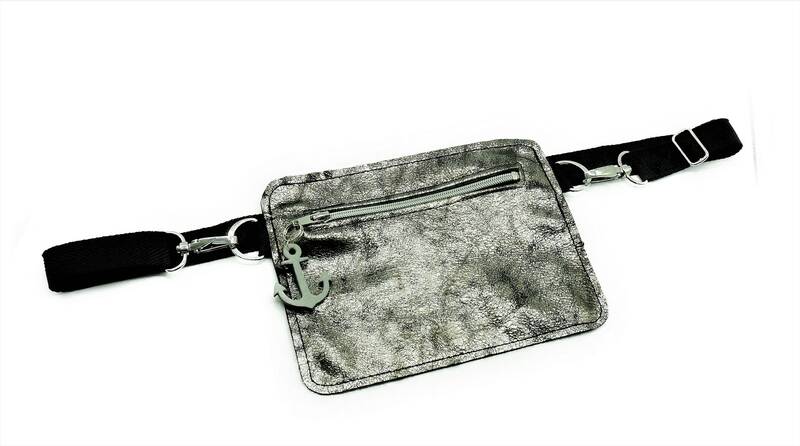 Flat belt bag in soft silver antique leather with zipper. 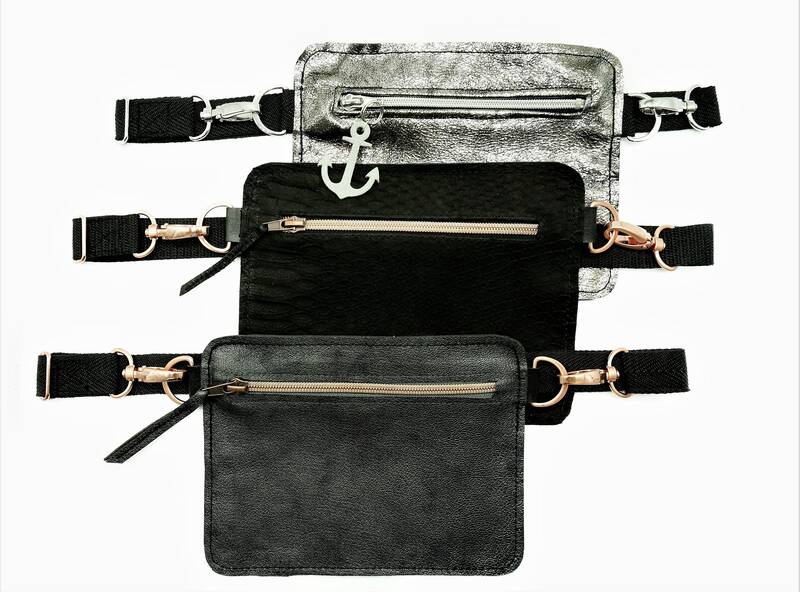 The bag is closed with a 2.5 cm wide black strap, which can be adjusted individually. 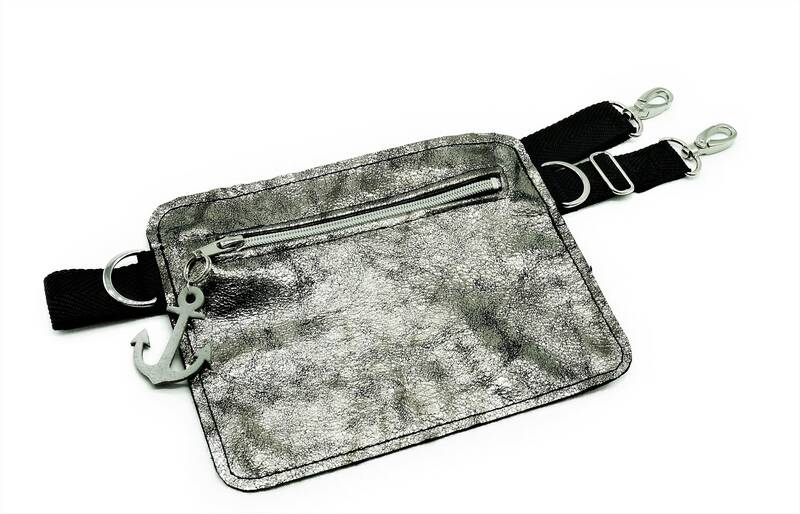 The strap is attached to the bag with silver carabiners and can also be removed completely. 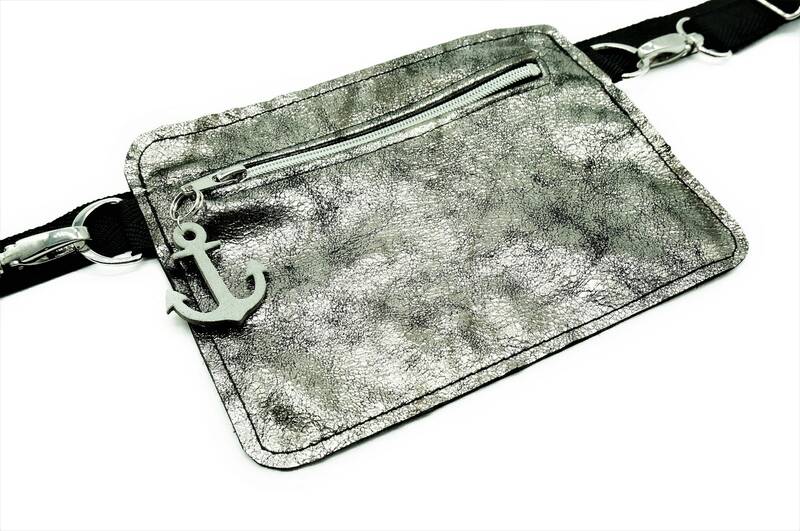 The bag can be worn both loosely on the hip and casual in the trendy cross body style, across the shoulder as a small shoulder bag. 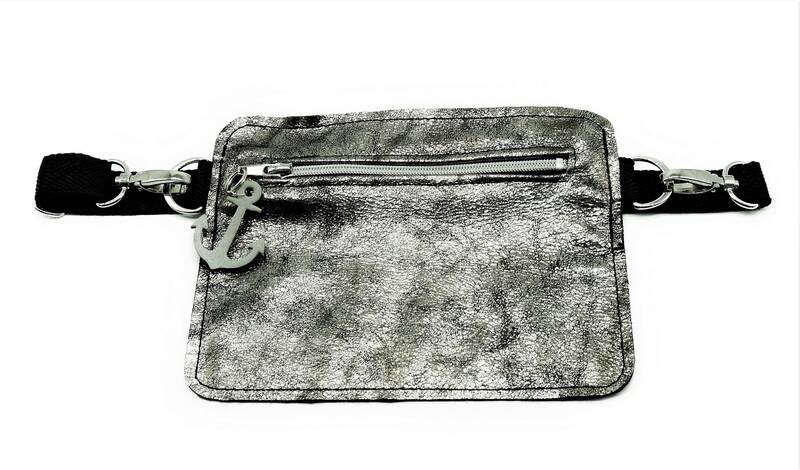 With its format 21 cm x 16 cm, the small flat belly bag is large enough for the most important things like mobile phone, money, lipstick, cigarettes, etc. And thus a perfect companion for festivals, concerts and clubs. 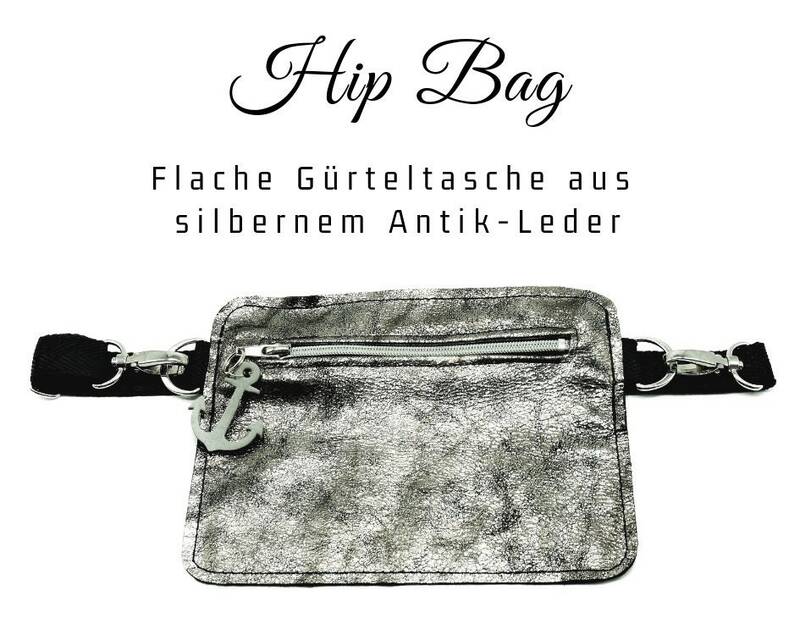 With the belt length at least 80 cm to a maximum of 143 cm, the bag fits everyone. In the smallest setting of the belt, the bag and belt come together to a total of 103 cm. 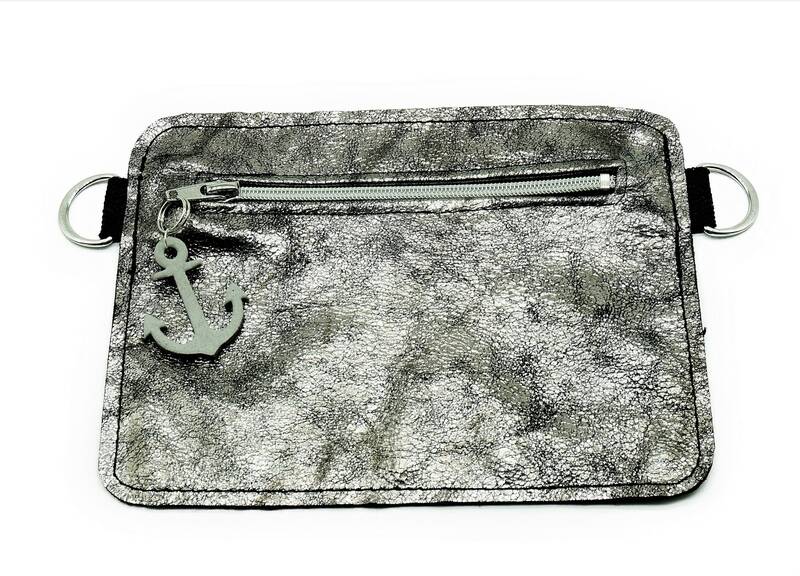 As an option, there is the grey leather anchor as an extra design. Please select option when you buy. 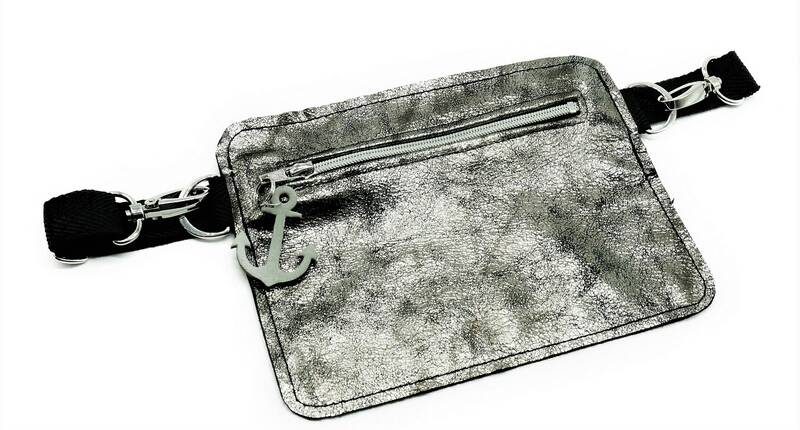 The anchor is easy to remove and can also be used as a trailer for a keychain. This bag is also available in other leather colours and designs-see last photo. Please note: Leather is a natural product. This can result in slight colour and surface deviations from the image displayed. The dark leather may also be easy to colour.